I hope everyone ha d lovely long weekend. 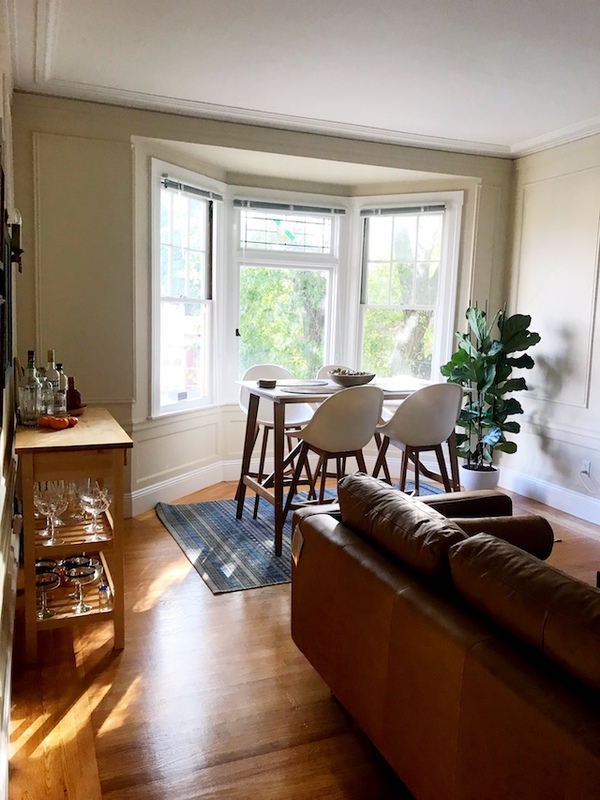 We had the best time in Boonville, and I'm actually having a staycation day in the city today (!! 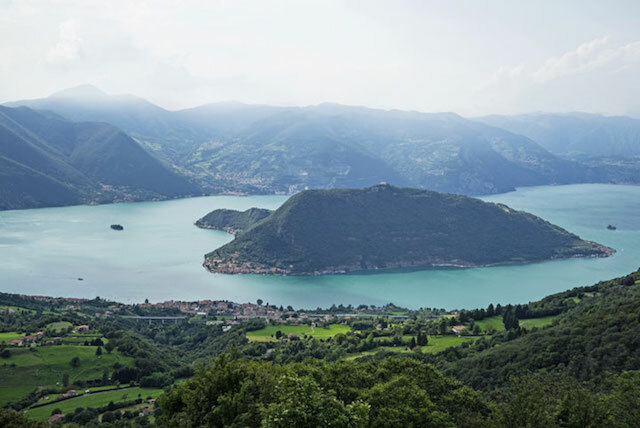 ), but if you're back at work I thought you might enjoy a mental escape. 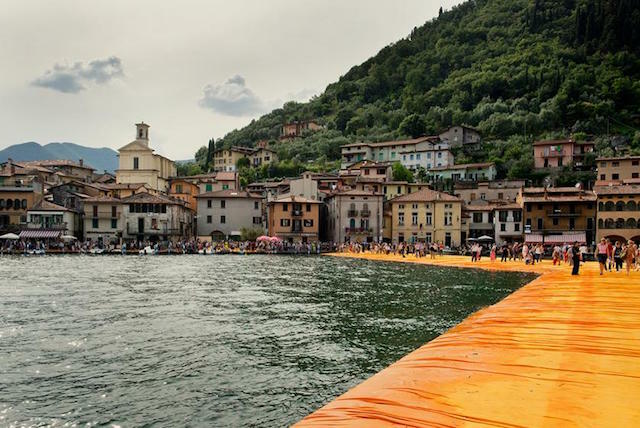 I first saw the Floating Piers when a friend posted a photo on Instagram, and was instantly intrigued. 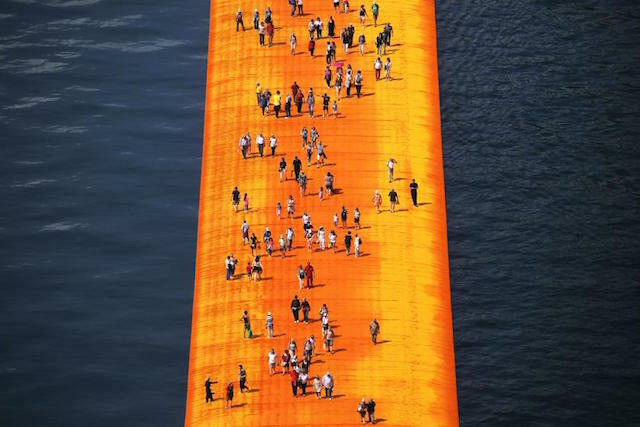 Created by conceptual artist Christo, the bright orange piers create a walkway connecting two islands in Italy's Lake Iseo and give people a chance to walk on water. 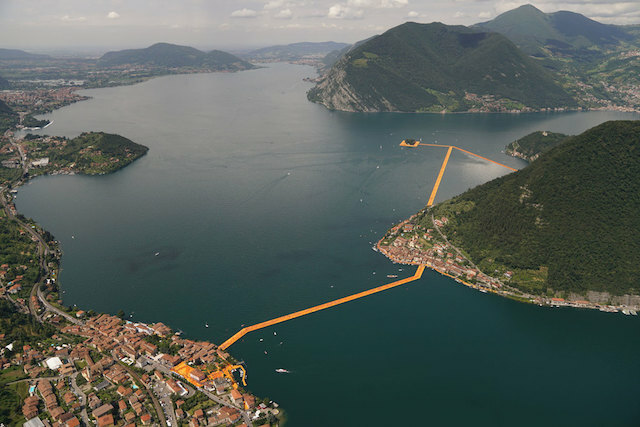 The Floating Piers exhibit closed last week, but you can see more photos here. With everything going on in the world sometimes it's nice to read about something magical like this, right?